North Korea has banned the use of satellite Internet connections and WiFi networks by foreign embassies and international organizations unless they get government approval. The switch, which came in mid August, gives credibility to an earlier report that unencrypted wireless networks at embassies were being used by North Korean citizens to gain uncensored access to the Internet. Foreign missions and aid agencies were notified of the change in policy on August 20 in a communique from the country’s Ministry of Foreign Affairs, the full text of which was published on Monday by NK News. In early August, North Korea Intellectuals Solidarity, a Seoul-based group run by North Korean defectors, said citizens in Pyongyang had been accessing the Internet through connections offered by “powerful” access points at embassies. The group reported North Korean authorities had asked the embassies to employ passwords or reduce the power of the WiFi signals, but some had ignored the requests. The situation had escalated to the point that people had begun moving house just so they could live within range of the signals. “Therefore, it is kindly notified that the regional wireless network is abolished here,” the letter sent to foreign missions said. It added that embassies and organizations that want to continue using WiFi or satellite Internet connections are required to “seek a consultation” with the radio regulatory body. “It would be appreciated if the missions could positively cooperate in the current measures taken for the security of the DPRK,” the letter said. Those that don’t comply face a fine of up to 1.5 million North Korean won (roughly US$11,500 at the official exchange rate of around 130 won to the dollar) or confiscation of the equipment. It’s unclear how actively the embassies and aid organizations provided their WiFi signals but it was almost certainly a conscious decision. Diplomatic security requires encrypted signals to avoid eavesdropping so making available an unencrypted signal is unusual. It would not have been used for any official business. Internet access is heavily restricted in North Korea and not available to most citizens. Those that are offered access, at universities or companies, have their usage monitored. The country is consistently ranked as one of the worst places in the world for censorship. The report comes days after Koryolink, the country’s 3G mobile network operator, began deactivating the prepaid SIM cards of foreign visitors as they left the country. Unlike North Korean citizens, visitors are able to access the Internet and make and receive international phone calls. The reason for Koryolink’s change is unclear although it did close a loophole through which the cards could have been smuggled back into the country to provide Internet access for citizens. 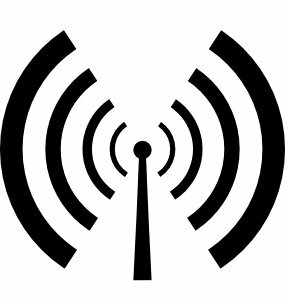 The frequencies used by WiFi lie in radio spectrum that in many countries doesn’t require a license. A big part of the success of the technology and of Bluetooth, a lower power wireless data system that uses the similar frequencies, is down to the lack of a licensing requirement. But every country maintains a sovereign right over its airwaves and can impose changes at anytime. 1 Comment on "North Korea bans WiFi at embassies"
How does the DPRK enforce such a law? According to the international law embassies are beyond the reach of the host country’s laws and regulations. Certainly embassies and ambassadors cannot be fined or otherwise charged with a crime for things they do on their own embassy ground (sovereign territory). Maybe they’d have to build jam stations instead. Embajadas en Corea del Norte dejaban redes Wi-Fi abiertas | Fravala.com - Las noticias de tecnología a tu alcance.